Peanut also known as “ground nut” is loaded with nutrients! 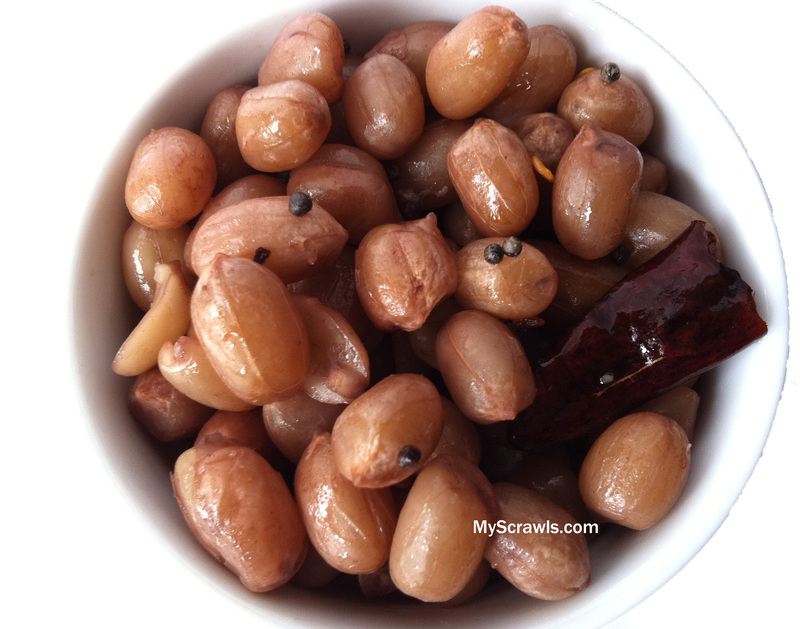 Peanut sundal is one of the easiest snack that you can enjoy at all times. Vendors in Chennai (a city in India) suburban trains fondly call it “Time pass Kadalai” You can easily ‘kill’ time munching this inexpensive nut while enjoying(really?!) the long train ride! During my college days, I used to commute in suburban trains and I enjoyed every bit of my journey. There would be lot of vendors selling all kind of snacks – roasted peanuts, nei biscuits (butter biscuits), samosa (samsa in Chennai tamil), seasonal fruits, sundal, spicy cut mangoes, boiled peanuts (avicha kadalai), kadalai sundal, thengai puttu (Kerela cuisine recipe) and much much more… Believe me one cannot resist buying these yum-yum mouth watering snacks Well I loved to munch all these snacks (Don’t ask me about hygiene ). Of all kadalai sundal and avicha kadalai were my favorite. My mom used to go bonkers seeing me sinfully devour “kadalai sundal and avicha kadalai” as she was always worried about the water that was used to boil the nuts…! Now I make all these snacks at home. Still every time I indulge in enjoying these snacks, I get reminded of good ol days! Nostalgic Kadalai sundal is my next entry to the navarathri special series. Add salt and water (1-2 cups) and pressure cook peanuts for 1-2 whistle(s). Heat oil and do seasoning with mustard seeds, hing, red chillies and curry leaves. 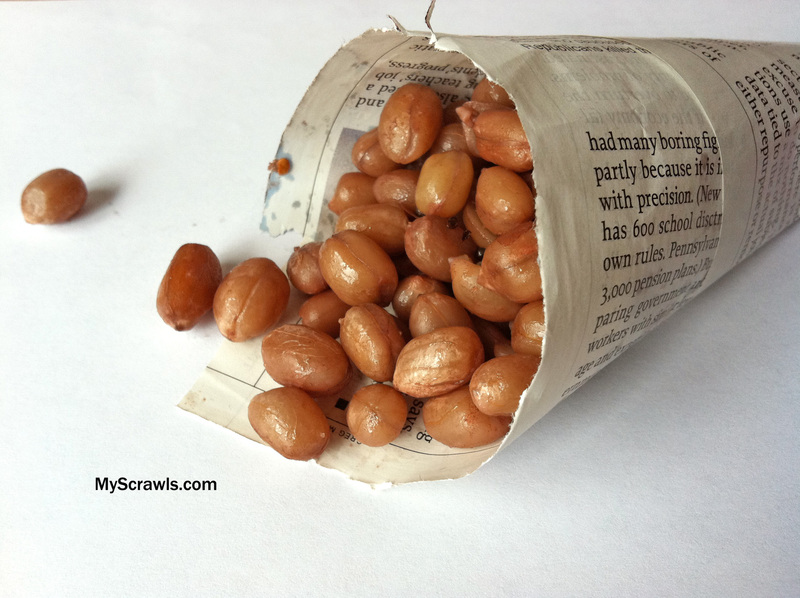 Once mustard spatters, drain water and add cooked peanuts. Cook for 1-2 minutes and remove from stove top. Very healthy snack. looks perfect ! !